Considering a new roof on your property? If so, you have come to the right place. 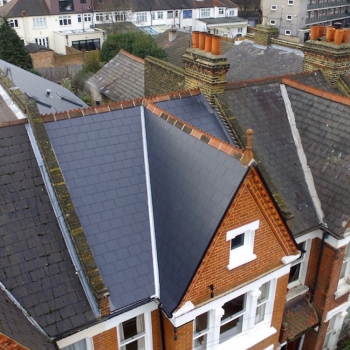 We complete between 30 and 40 new roof projects per year in London, South London and Surrey. We offer a full service using plain tiles, natural slates, synthetic slate and profiled tiles. A new roof can increase the value of your property, give you guaranteed peace of mind and really enhance the look of your home. More practical reasons to get a new roof might include eliminating on-going maintenance & remedial repairs, or having a fully guaranteed new roof to make your retirement hassle free. Before you read on, we would like to point out that we are proud members of the NFRC (National Federation of Roofing Contractors), who are the leading governing body in roofing in the UK. We have had to achieved high standards both in our work, and our admin/office departments to be offered a membership in this prestige organisation. We are randomly audited/or tested by the NFRC on our work standards and running of our company, which means that displaying the logo to your right is a sign of trust, peace of mind and professionalism that you can sure of. New roofs are obviously not cheap, but they are a great option if you just want to forget about roofing problems on your home and have an insurance backed guarantee on any issues should they arise. We also offer payment options, meaning you can spread the cost of your new roof. We accept credit cards. Call us for a Free New Roof Estimate! 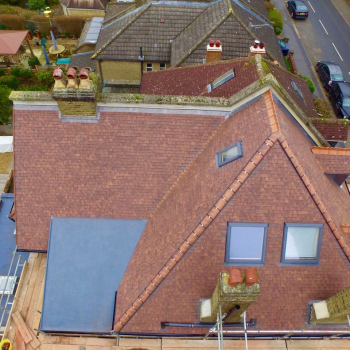 If you are considering a new roof on your home, the first place to start is by giving us a call to organise an inspection and a free, no obligation quote. 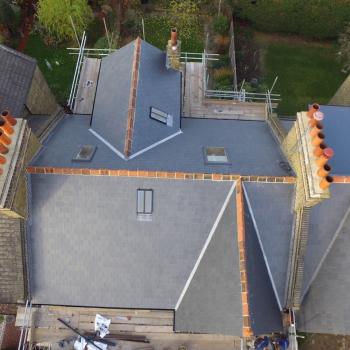 Our team of highly experienced and trained roofers will lend their advise, and help you to choose the right new roof covering for your property. Factors to consider are cost, neighbouring roof coverings & the current capabilities of your timber roof structure (for example, putting a heavier covering on your roof will require some structural re-inforcement). The average size domestic new roof will take approx 6-9 working days. So you would usually have scaffolding on your home for roughly 2 weeks. we can offer scaffold alarms for those who are worried by burglars or live in highly populated areas. The roof coverings vary quite dramatically in price, so there is usually an option for all budgets or the aesthetically minded client. Lead flashings area always included with new roofs, as are minor chimney repairs (pointing etc), valley replacement & ridge tile replacement (unless asked otherwise, for example, with ornamental ridges that you wish to keep). We also offer what is know as a 'tac-back' service, where the existing covering is inspected for quality & upon passing, is removed and safely stored. The felt and and battens are renewed (as well as other standard re roofing elements) & the salvaged covering is then re applied with new nails. 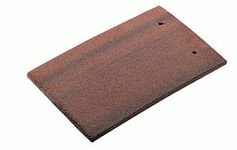 Some material would be required to make up for damaged slates or tiles upon removal. This option is especially appealing tho those on a budget, those concerned with aesthetics or those in a conservation area where the covering must be kept to the original type. Nail rot is a major reason for roof failure. With a tac-back the nails are obviously renewed upon re installation. Porous coverings are the other reason for major failure. Most roof coverings are coated with an outer layer that is designed to withstand water penetration. 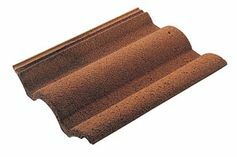 Clay tiles and natural slate are the exception, but these coverings are more expensive for that reason. With manmade coverings, the outer covering becomes worn and old over time, allowing water to penetrate the covering material. Climate changes such as frost then contribute to cracking the material, along with general damage caused from absorbing water. 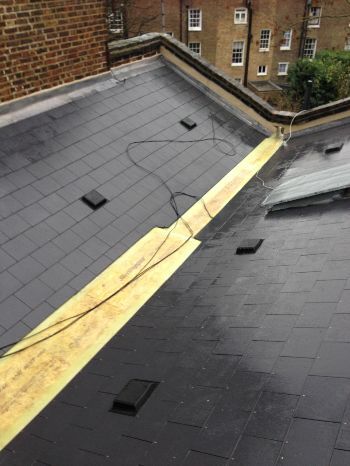 When you decide to renew your roof, the project qualifies for building regulation inspection. This involves a fee payable to the council for a building inspector to 'pass off' the work & issue you with a completion certificate. Although this could be considered an annoyance from a financial perspective, most will agree that having the work checked over by an independent qualified person can only be a good thing. 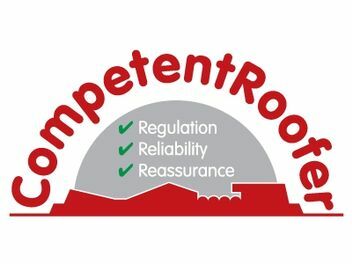 A few years ago, reputable companies such as ours, were invited to apply to become members of a scheme titled 'Competent Roofer'. The scheme tested (and regularly continues to randomly test) roofing companies for their compliance with building regulations & the knowledge associated with that. Upon passing, companies were then allowed to self-certify roofing projects where no structural changes were deemed required. This eliminates the need for building regs, and more importantly, the fees that go along with that (can be an average of £400 on a new roof). You still receive the same certificate upon the completion of the project. The main things considered by building regulations on new roof projects are structural capabilities & insulation. Insulation requirements currently advise 270mm of rock wool type, or 100mm of foam board insulation. These values are subject to the possibility, but most properties that we re-roof need a top-up. You can handle the insulation yourself, but we would be required to inspect the finished job before we could offer a completion certificate. Most people would agree that a new roof adds value to your home, which effectively pays for itself in your equity. It could be viewed as an investment rather than a direct cost, and the elimination of future roofing issues tips the balance on the value for money. If you were thinking of selling in a few years, adding a new roof would make your home more appealing to buyers & you would no doubt be in a position to increase for sale price by at least the cost you have paid for the new roof. 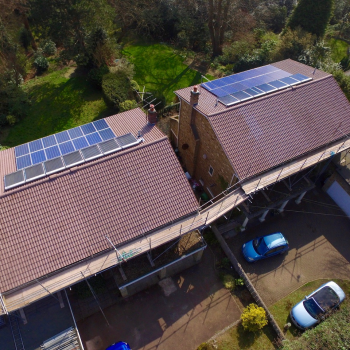 You would be armed with all the right paperwork (completion certificate, guarantee etc) to hand to your solicitor & your home would be more energy efficient due to the rules on minimum insulation requirements when renewing your roof. 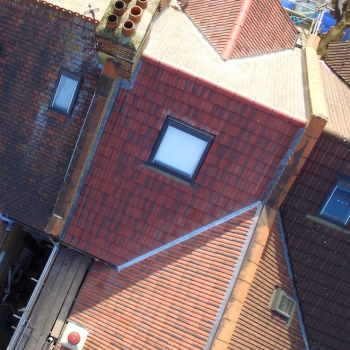 Thinking from a buyers perspective, i am sure you'd agree that having a new roof, carried out by a reputable company with all of the paperwork is a really positive consideration. It is very hard to give a ball park figure of the cost of re-roofing your property, but you could say (very loosely) that a new roof on a terraced property with completely new covering to an up and over apex would start at around £5299+vat. This is obviously just to give you an idea of the kind of bracket you are facing. Scaffolding is inclusive, as is every other element of the new roof (materials, rubbish disposal etc). 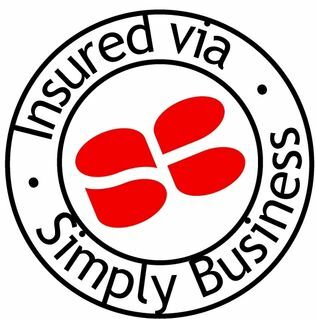 We offer standard guarantees on all new roof projects (and repairs for that matter), but for those who want peace of mind against companies dissolving or likewise scenarios, an insurance backed guarantee is a good option. They are also better for the previously mentioned 'selling lure'. Our company has been established since 1984, and we don't plan on going anywhere! but we are no more shielded from unfortunate occurrences than any other company. On top of that, you might research us, get to know us personally & trust us to carry out your project, but the person who buys your house will not know anything about us. That is why an insurance backed guarantee is advised. It will cost you in the region of £100, and we can arrange it for you through our NFRC (the leading governing body for roofers) membership. Worth having in our opinion! Guttering, fascias, soffits & chimney caps are not usually included in a new roof estimate. If you would like these elements added, please ask Peter upon the inspection. In most cases, it is financially sensible to have the guttering added to the estimate whilst the scaffolding is there for the new roof. Lastly, a note on competition. We wouldn't expect you to only obtain one estimate for a re-roofing project, but here are some guidelines on price difference and what we can offer for our price. Peter is the estimator for re roofing, and he has over 35 years of experience in the roofing industry. He isn't lazy with his measurements, he doesn't over order, nor does he price for using cheaper materials. We are a reputable company, who do not need to underprice work and rush the job, use cheap labour or sub the work to a cheap team of roofing subcontractors. 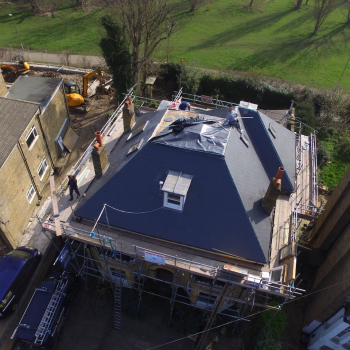 We do not use any labour outside of our team of 10 roofers & labourers. All of the materials we use are to BSS Standards, and purchased on account from major roofing suppliers such as SIG, Alltype and Brian Gow. We do not require stage payments from you. Because we undertake lot of roofing projects, we are VAT registered. Unfortunately this is passed on to the customer in the form of 20% VAT. But ask yourself this... How can a roofing contractor specialising in new roofs possibly not be registered for VAT with the turn over threshold for companies set at £82k odd? It doesn't make sense financially, or from a trustworthy perspective. With all of the above considered, we have positioned ourselves as a company who offers the best materials and workmanship, for a fair cost and profit. This puts us in the mid-price range, which is often the price range for fairly priced quality. Cheap estimates may draw you in, but you really have to consider the materials being used, the capabilities of the person/people who will actually be doing the work and the aftercare from the company in the form of paperwork and guarantee promise. Our guarantees are solid & our membership with the NFRC would be compromised if we did not adhere to our guarantees. We can offer less expensive options to our clients, but would still always use BSS Standard materials and our own team of roofers. 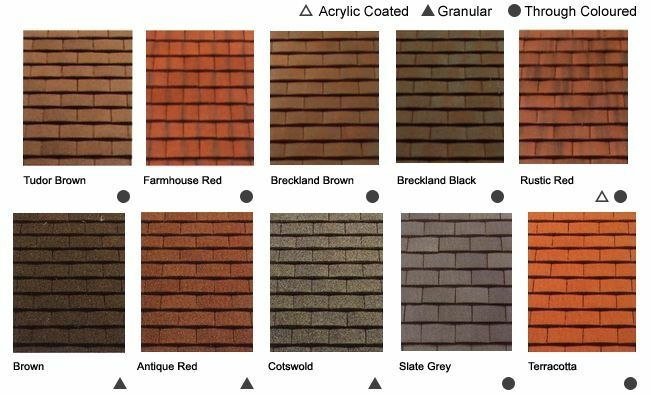 Cost - Plain tiles are the most expensive, followed by slates. Profile tiles are the least expensive. Covering Type - Do you want a Natural Slate, Synthetic Slate, Plain Tile (below left) or Profile Tile covering (below). Neighbouring Properties - Will a change of covering make your property stand out too much. Aesthetics - Are you renewing for aesthetical purposes or purely practical. Structure - are you planning to remove a lighter covering and replace with a heavier covering, which may require some minor structural strengthening. 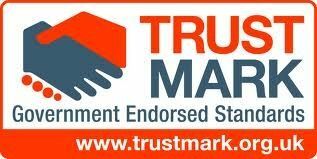 We are Competent Roofer Accredited, meaning we can self- certify on like-for like projects (No building control required!). You still get a pass certificate. Building Control - A new roof requires a completion certificate. We are Competent Roofer members, so are able to selfcertify most projects... Which means no additional costs for building control. Colour - There are many choices of colour. We are happy to provide samples to help you choose. Scaffolding - Our estimates are inclusive of scaffolding. Conservation Regulations - If your property is in a conservation area, you will need to check if your chosen covering is acceptable. Roof Windows - Why not take the opportunity to add one? Home improvements during Brexit.. yes or no? #Roofing #homeimprovements https://t.co/kf66iszQaQ? Awful customer service from @Ford @deesford today in Croydon. Brand new Ranger breaks down after 3 months.Basically told to get lost!